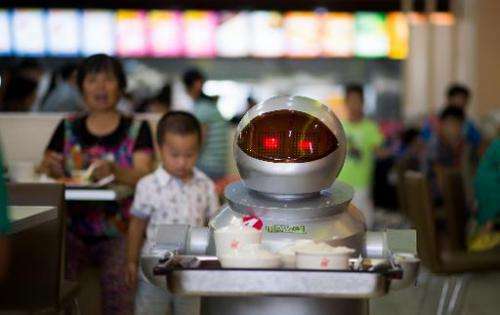 It's more teatime than Terminator—a restaurant in China is electrifying customers by using more than a dozen robots to cook and deliver food. 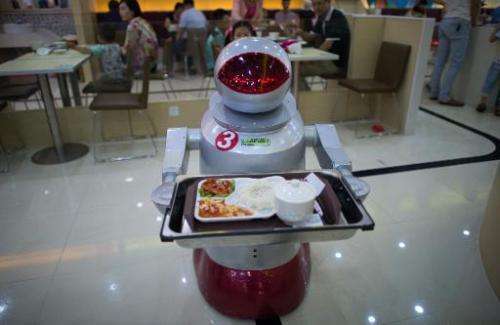 Song told the local Modern Times newspaper that each robot costs around 40,000 yuan ($6,500)—roughly equal to the annual salary of a human employee. 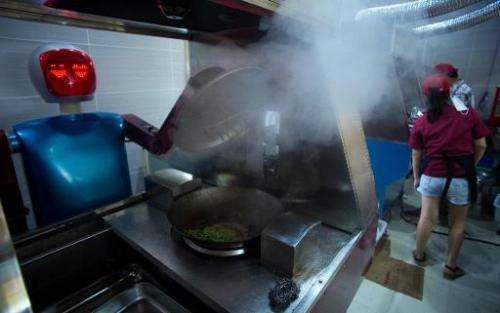 The cooking robots—which have a fixed repertoire—exhibit limited artificial intelligence, and are loaded with ingredients by human staff, who also help to make some dishes. Of course not - you can still work as a servant clone fed with recycled biojuice.